2013 saw the premiere of 4D and 生长genesis (Eastman), Boléro (co-created with Damien Jalet and Marina Abramović, for the Paris Opera Ballet), and m¡longa (Sadler’s Wells). He reunited with Joe Wright to co-direct A Season in the Congo at The Young Vic. In 2014, he created Noetic for the GöteborgsOperans Danskompani, Mercy (from Solo for Two) for NataliaOsipova and Ivan Vasiliev, which they performed at the London Coliseum and he directed his first opera, Shell Shock, for La Monnaie, with music by Nicholas Lens and text by Nick Cave. Since 2015, Cherkaoui assumed the role of artistic director at the Royal Ballet of Flanders, where he has created Fall (2015), Exhibition (2016) and Requiem (2017). He combines this function with his title as artistic director of Eastman and keeps creating new work along with the artistic entourage of this company, for example Qutb (2016), a trio commissioned by Natalia Osipova, Icon (2016) for GöteborgsOperans Danskompani and Mosaic (2017) for Martha Graham Dance Company. He directed the operas Les Indes Galantes (2016) for the Bayerische Staatsoper, Satyagraha (2017) for Theater Basel and Pelléas et Mélisande (2018) with Damien Jalet and Marina Abramovićfor Opera Vlaanderen. 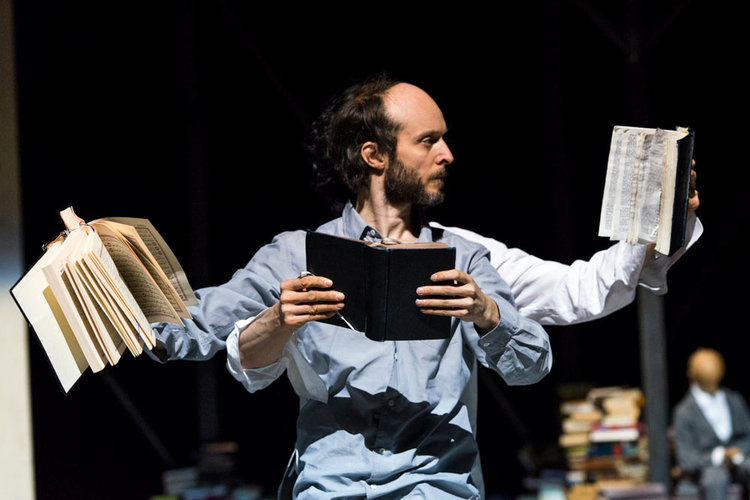 Sidi Larbi Cherkaoui is also associate artist at Sadler’s Wells, London.